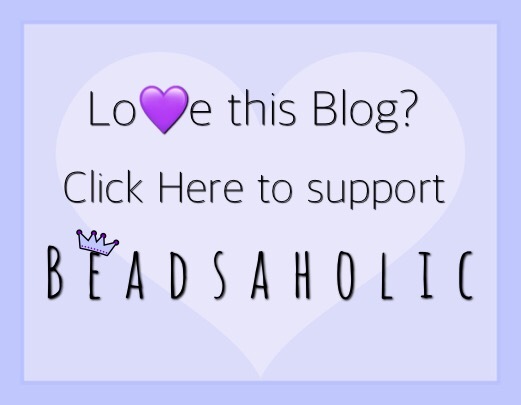 Today Beadsaholic brings a close look at Beauty Beads and news of their latest promotion! 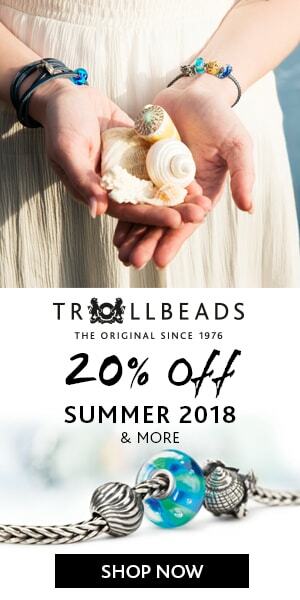 Considering Beauty Beads latest promotion, I thought we would take a close look at some of their fantastic beads. If you are not familiar with Beauty Beads, they are the house brand of Perlen. Within the Beauty Beads line, you will find some amazing heavy silver beads that have the look of artistic hand carved silver. Also, within the line you will find beautiful glass and ambers. Now for the promotion news! Starting now through Monday, January 21st, 2019 Beauty Beads will have their complete line Buy Three (3) Get One (1) FREE! Use code: beauty at check out and least value bead will be deducted. Beauty Beads Circle Of Life is a beautiful deer skull with flowers on the back side. This bead is designed by Lene Vidding and handmade in Denmark. This bead weighs 10 grams and measures approximately 25.06 mm high x 14.09 mm wide. Circle of Life retails for $68.72 / €60.30. Beauty Beads Big Nanacatl is a huge wonderful mushroom. Designed by Lene Vidding and made in Denmark. This is weighty charm at 13.5 grams and measures approximately 20.90 mm wide x 16.34 mm wide. Big Nanactl retails for $83.99 / €73.70. Beauty Beads Mikkel the Fox is a cute fox head with a floral back. Designed by Lene Vidding and made in Denmark. This bead weighs 5 grams and measures approximately 13.35 mm high x 13.59 mm wide. Mikkel the Fox retails for $51.15 / €44.89. Beauty Beads Flower Field is covered in leaves and flowers all the way around. Designed by Lene Vidding and made in Denmark. This bead weighs 6 grams and measures approximately. Flower Field retails for $51.15 / €44.89. Beauty Beads Heart Of Perlen is a beautiful heart garden with flowers and leaves. Designed by Lene Vidding and made in Denmark. This bead is a weighty 13 grams and measures approximately 16.81 mm high x 16.60 mm wide. Heart of Perlen retails for $83.99 / €73.70. Beauty Beads Jack Jackson is the first limited-edition silver from Beauty Beads and is limited to only one-hundred (100) pieces. Designed by Lene Vidding and made in Denmark. This Bead weighs 10 grams and measures approximately 14.49 mm high x 17.01 mm wide. Jack Jackson retails for $72.53 / €63.65. Beauty Beads Caramel is a beautiful sparkly copper. This is a standard size bead, roughly around 14 mm and retails $35.12 / €30.82, currently 25% off. Beauty Beads Belma is a stunning dichroic glass with white buds along one side. This bead is a jumbo size measuring roughly 16 mm and retails for $50.39 / €44.22. Beauty Beads Pastel Licorice is a matte black glass that is a staple design for any collection. This bead is a standard size of roughly 14 mm and retails for $32.07 / €28.14. Beauty Beads Mermaid Flower White is a beautiful dichroic glass with white petals along one side. This bead is a jumbo size measuring roughly 16 mm and retails for $50.39 / €44.22. All the silvers mix well together and have such an organic feel to them. If you would like to see more reviews on Beauty Beads (click here). Over all, Beauty Beads are beautiful works of art and this is a fantastic time to get any beads on your wish list! I know there are still quite a few on my wish list. If you would like to take advantage of the buy 3 get 1 free you may do so by clicking the banner link below, don’t forget to use code: beauty at check out. Perlen offers vat free shopping for those outside of Europe and offers free shipping. ← Aurora Together forever Preview, Promo and Release! Thank you for introducing me to these beads. I immediately ordered some including the Perlen heart and the fox. They will make a fantastic valentine bracelet without being overtly Valentiney. I plan to add ohm’s toothy with the fox. Without you, I would never have known about these beads. Thank you so much for your blog! I hope to get the mushroom in the future and the deer head and maybe the longhouse and Viking boat. So fun!!!! The sale made it affordable for me to get started with this brand. Ohm’s Toothy will go perfectly with these. Sounds like the perfect Valentine bracelet to me! I think you will find these beads to be heavy and solid. I love the handmade feel to them. Hope you enjoy your new beads! Thanks so much, Alex. The deer makes such a great focal.